Here is a photo of my grandad Harry Watson Moore (4th from left) in teh Sir John Drake Lodge which according to an earlier entry on here met at teh Wellington Hotel, Grimesthorpe Road. Harry worked at Firth Browns as a plater/driller & lived at 305 Petre Street. Does anyone know exactly where teh Wellington Hotel was please? 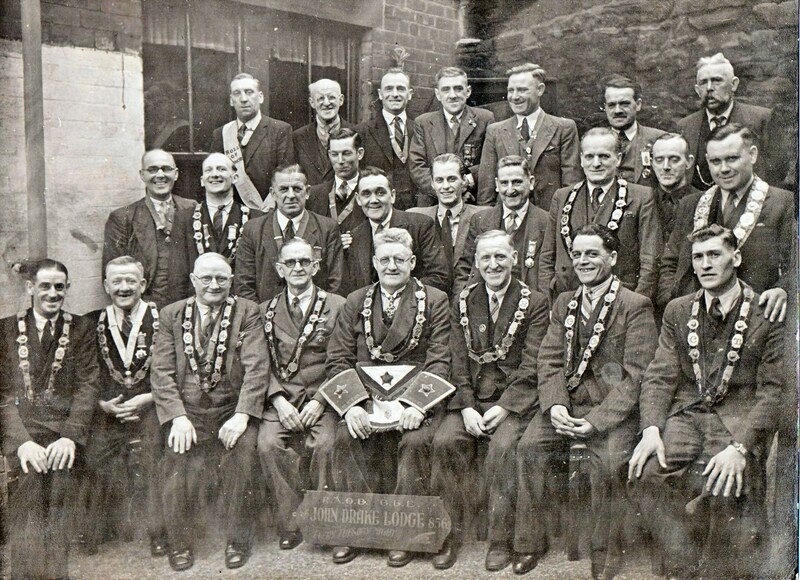 Also any other details about teh Lodge & its members? So they were there for quite a while. The lodge regalia was still in use in the 1990s, albeit on new collars, but I can't remember which lodge had it. I wonder if it could be one of these, can anyone put names to them? 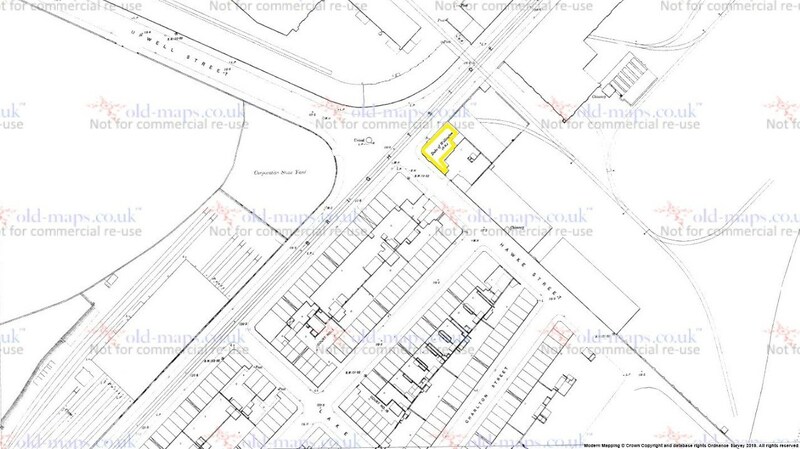 Ward Willie Leon, beerhouse, 62 Grimesthorpe road top corner Buckenham Road. Norton Simeon, beer house, 123 Grimesthorpe road top corner of Earldom Road. 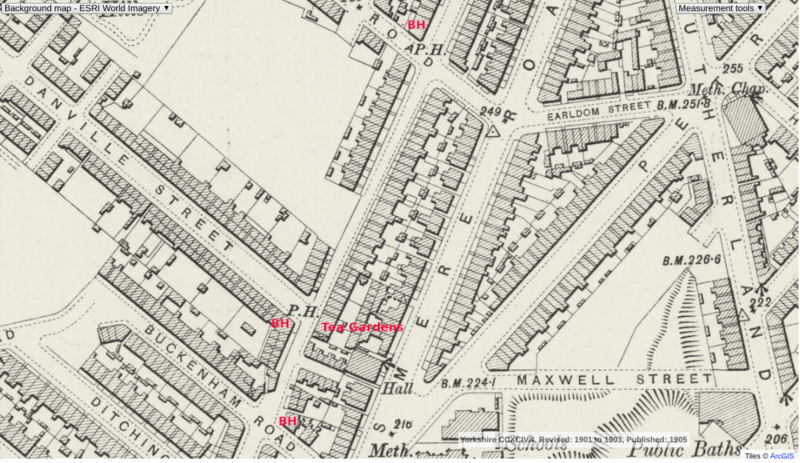 And this map possibly shows a public house on the opposite corner of Earldom road to number 123. I think/hope I have put them in the right place on this map. I think in my time in Sheffield that there was a Wellington near the Victoria in Grimesthorpe , but again that wouldn't have been on Grimesthorpe Road.